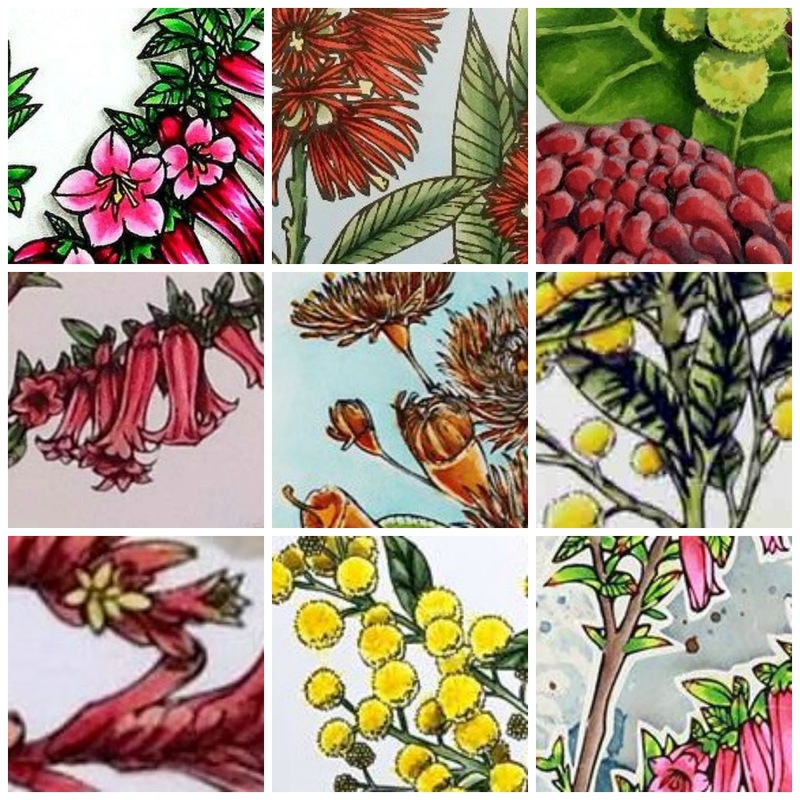 Hello Crafters and welcome to the . . . .
Australian Flora - New Release & Hop! Hello and welcome to our first blog hop for 2016. It's Australia Day today, a day to celebrate everything Australian so we are excited to be sharing a new release of beautifully illustrated Australian flora digital images from Make it Crafty. They are intricate and delicate with lots of detail and are the perfect choice for many occasions. I used the Common-Heath Flower for my card. I just love their sweet bell shape. My original goal was to create a one layer card that appeared to be layered. Instead, it turned into a slightly layered card. Uh, oops. Now of course with all Blog Hops there is a PRIZE!!! For your chance to win a whopping $25 Make it Crafty voucher make sure you leave some love on all the girls blogs. The Hop will concluded on Saturday 31st January @ 8pm Brisbane Australia time. Winners will be notified so start Hopping! If you happen to get lost along the way please come back Here to start from the beginning! Thank you so much for visiting and happy hopping! oooooh the drawn box around the flower and casting a shadow is such an awesome idea!! Gorgeous colouring too!! Omgosh Kelly! I love how you've done the layers on your card! Would never have thought to do that! Your...ooops card....turned out just lovely. I like the way you did the black stamped parts on the card. Beautiful. Will come back and watch the video. love how you did this, such a great effect.. your video is awesome..
Kelly i love how the flower goes"off" the main part of the image super duper! Stunning card!! Wonderful colouring and 3D effect!! Beautiful flowers, love how the image continues as B&W over the first panel. Lovely flowers and beautiful card! Beautiful card. Love how you off set the image. Awesome. Beautifull! I love the frame you inked around the flowers. Amazing! I love the way you created this card. Thank you for sharing!!! Wow, this is spectacular. The black and white along with your fabulous coloring make for a stunning creation. OMG! Awesome job on your card. Love the coloring. Fabulous card. Great colors and coloring. Beautifully coloured Epacris, could pick it off the page. Gorgeous. Beautiful Kelly - love the plain stamped back layer and the fabulously coloured top layer. I love the shadows behind the flowers that make the flowers look 3-D. I also like them starting as a sketch on the bottom layer, awesome! I love watching your YouTube videos and this was another amazing card. Gorgeous!! Need I say more!! So beautiful Kelly!! I love how you kept the side grey!! Your colouring is awesome Kelly, I love the 'frame' you have done with the distress ink and the black and white around outside and then the colour in the centre, fantastic effect. Be still my heart! Such gorgeous use of BRIGHT in-your-face color! Love it!! Oh my golly Kelly this card is stunning and worth framing. I love how you did this one. and love the image you used as well.!!! !